Whether you gamble frequently or prefer the occasional punt, it’s hard to rule out the idea of visiting some of the best casinos on offer. The modern era has seen a huge rise across every aspect of the gambling industry, and more and more land-based casinos are being built to satisfy the huge demand. Typically, most punters would deem a trip to their favorite hot-spot as a once in a lifetime opportunity, but the reality is more players are able to frequent their chosen casinos. Of course, the online scene makes it easier for players to play from the comfort of their own home, but you really can’t beat the buzz and excitement from being in a land-based casino. When it comes to looking at the global picture, there are literally thousands of casinos spread across the world and some cities have even carved out a reputation owing to their love of casinos. Although it might have lost some of its glitz and glamour from its heyday, Atlantic City remains a gambler’s haven and was designed with one purpose in mind. The 2008 recession certainly had a knock-on effect, and interest in casinos and gambling did wain somewhat, but punters and tourists alike have ensured that Atlantic City will always remain a hot-spot for casino enthusiasts. Popular casinos: Atlantic City Hilton, Caesars Atlantic City and Bally’s Atlantic Casino. When you think about London, you don’t typically associate casinos and gambling with the big smoke, but the English capital has proven to be a hub of entertainment. Some of the world’s most famous casinos are based in London and the industry in the United Kingdom is worth a reported £14.4 billion (2018). At the time of writing, London boasts 28 land-based casinos and it’s likely that more will be built over the next decade or two. Popular casinos: Hippodrome Casino, Aspers Casino and Park Lane. Highly-regarded as the betting center of Europe, the Monte Carlo Casino is one of the most iconic and legendary casinos in the world. Based in the principality state of Monaco, the Monte Carlo has attracted the rich and famous from all over the world and its stunning design and interior make it well worth the trip. 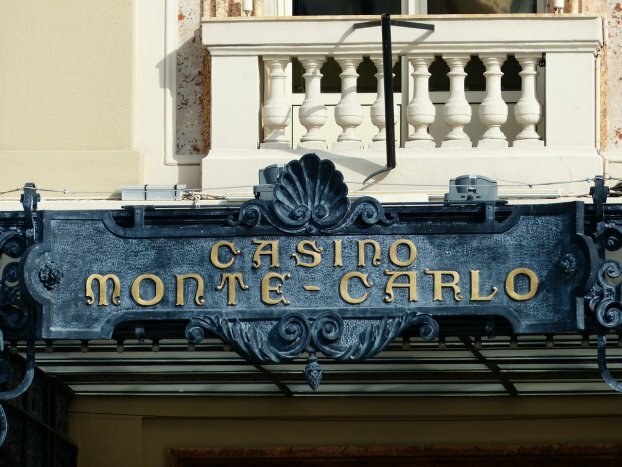 The Monte Carlo was built in the early 19th century and provided the setting for Joseph Jagger’s claim to fame; he was the first man to ‘break the bank at Monte Carlo’. Popular casino: Monte Carlo Casino. If Atlantic City is a haven for casino fans, then Las Vegas is undeniably the paradise for gambling. Sin City – as it is often referred to – has been the center for casino-related films and TV shows for decades now, and there’s only one reason tourists visit Vegas. Built in the middle of the Nevada desert, Vegas is synonymous with all things gambling and people from all over the world travel to the United States to experience the buzz and atmosphere of punting in arguably the most famous gambling center in the world. Popular casinos: The Bellagio, the Venetian and MGM Grand. Not only does China boast the largest population in the world, the administrative territory of Macau has recently overtaken Vegas as the most prosperous gambling center in the world. More money passes through Macau’s casinos than anywhere else and it’s no wonder that Vegas-based companies have entered Macau’s gaming market. Currently, Macau has 33 casinos and no expense has been spared in their development and construction. Macau is home to the Venetian Casino, which is by far the largest casino currently in operation so it really is the go-to place if you want to experience the glamour of Asia’s gambling center. Roulette is one of the most popular casino games played in Macau and if you can’t make any of our top gambling cities, you can play online right here: https://casino.betfair.com/c/roulette. Popular casinos: The Venetian, Wynn Palace and Altira Macau.